Bruce Springsteen’s Darkness on the Edge of Town sounds different from much of his other, more upbeat material. But in many ways it’s also very similar to the rest of his catalog. Here are 10 things you already know about the acclaimed 1978 classic. Springsteen’s legal battles with Mike Appel over ownership and control of his music kept Bruce out of the recording studio for almost a full calendar year. But in that time, he toured extensively with the E Street Band and continued to build his reputation as a live performer. But the case had to affect the music and lyrical content of Darkness on the Edge of Town, which was a much more somber affair than what fans were used to at the time. Steven Van Zandt said in a Rolling Stone interview that the band recorded some of Darkness in live takes of the full band playing together. Songwriting had gotten much easier for Bruce and the band after playing together for several years, which allowed for more organic and spontaneous songwriting and recording. Despite having an overall darker tone than Born to Run, Darkness on the Edge of Town continued the same structure used on the former: two side openers about overcoming adversity (“Badlands” and “The Promised Land”), paired with two side closers (“Racing in the Street” and the title track) overcome with despair. Bruce didn’t have the chart gold that was “Born to Run” with this album, but “Prove It All Night” cracked the Top 40 upon release and remains a staple on classic rock radio to this day. Darkness on the Edge of Town is arguably Springsteen’s least commercial-sounding album, with its dark themes and nuanced musicianship and production. But despite the lack of any hit singles, the album stayed on the Billboard Albums chart for 97 weeks, and songs like “Badlands” and the title track remain fan favorites. After doing photography for Patti Smith and notable early punk rockers, photographer Frank Stefanko was given the task of shooting the album cover and inner photos for Darkness. The two met through Patti as a mutual connection. Bruce drove down to Stefanko’s house in Haddonfield, New Jersey with just a change of clothes and shot both inside the house and on surrounding streets. The cover for Darkness was shot in Stefanko’s bedroom, while a photo from the same shoot was later used for The River. 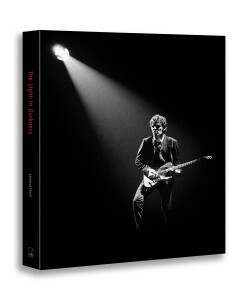 Springsteen’s compilation The Promise contains 21 unreleased tracks that were recorded mostly from 1976-1978, many of which from the Darkness sessions. Most notable is “Because the Night”, which Bruce gave to Patti Smith and became one of the latter’s signature songs. 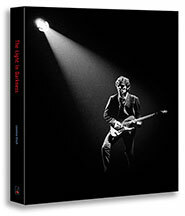 Springsteen compilations like Tracks and The Promise contain many unreleased recordings from the Darkness sessions. But several tracks ended up on 1980’s The River, including side one openers “The Ties That Bind” and “Sherry Darling”, side one closer “Independence Day”, and side three opener “Point Blank”. Despite the dozens of recordings that eventually saw release on the River or subsequent compilation albums, there are at least 16 known recordings that are circulating as bootlegs but have never been given an official release. These songs include “Preacher’s Daughter”, “Down By the River”, “Castaway”, “Cheap Thrills”, and “Blue Moon”.